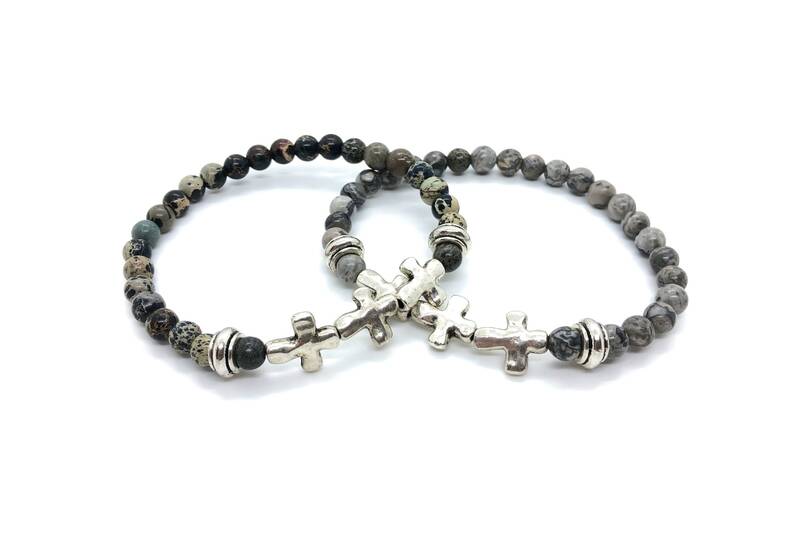 Bracelet "XANNA STONE MEN (34)"
Men's bracelet with black Imperial jasper (8mm) beads with silver cross-shaped beads. 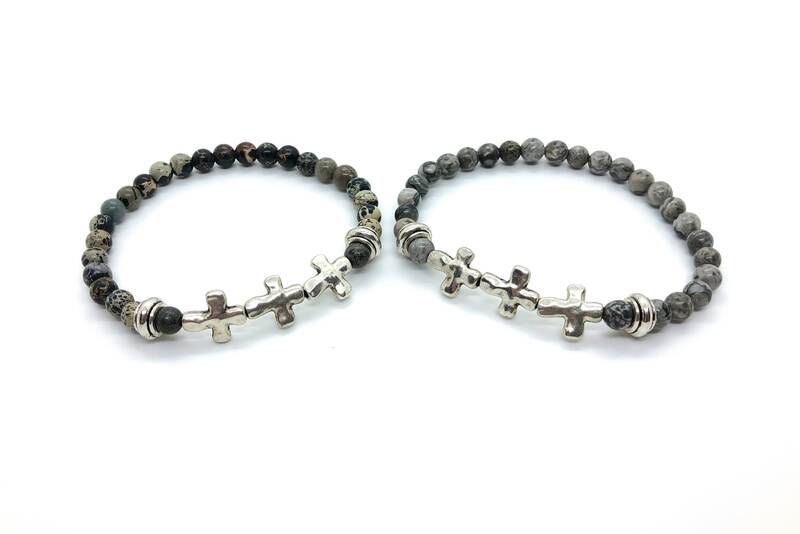 Imperial Jasper is the stone that symbolizes fortitude and courage, so it is used to reinforce the emotional field, mental and spiritual energy. Ideal to start new projects. 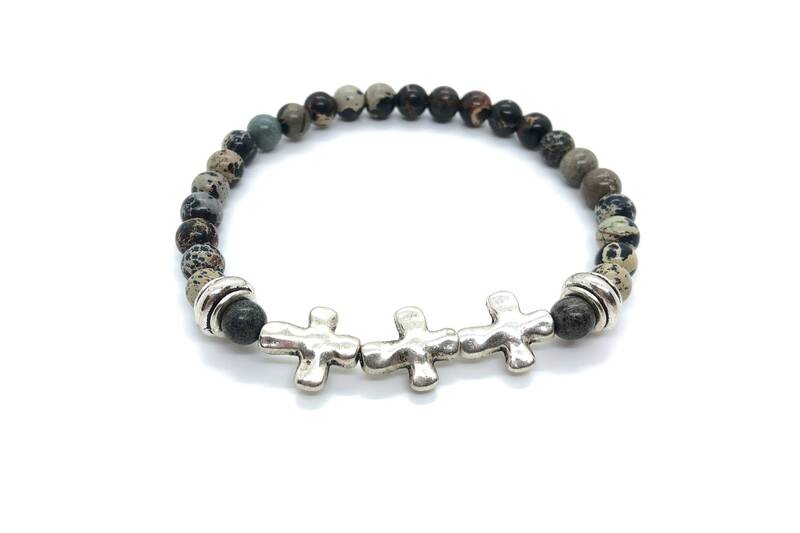 It brings good luck to whoever takes it and acts as a defense against the dominant influences of others. It opens, stimulates and strengthens communication and creativity. It helps to achieve our harmony with nature.